The Condor Urban Go Pack is designed with practical pockets, enough to fit everything without having to dig through a massive main compartment, but not so many that they are too small to carry necessary gear. 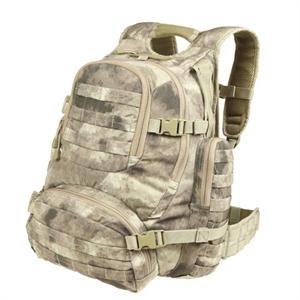 This is an everyday assault packs for anyone, from student to LE and military to security units. - Genuine A-TACS material, sewn in foreign country. - Heavy weight webbing for modular attachments. - Grommets on all compartments.